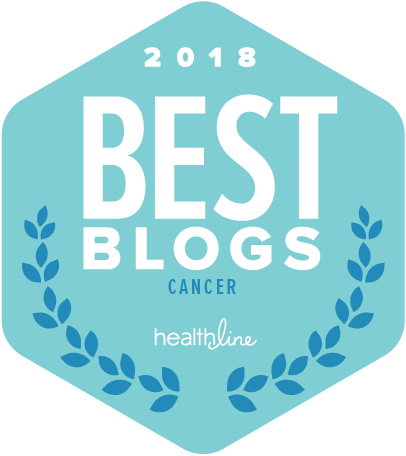 Today we're offering a guest post from a woman who's using her experience with cancer to help others in a unique way. In 2012, I was 38 years old and my husband and I were delighted to learn we were expecting our third child. I phoned my obstetrician to say I knew it was too early for a prenatal appointment, but I had found a lump. My doctor reassured me that pregnancy brings changes in breast tissue, but sent me for precautionary testing. I was diagnosed with Stage 1 Breast Cancer. A local surgeon sat down with me and my husband, robotically sketching out our options. We left without asking any real questions. We sat in the parking lot and cried. A friend put me in touch with a surgeon who specializes in treating younger women with breast cancer. Both the new surgeon and my oncologist were very kind, caring and approachable. They offered all their time and were open to any questions. Even so, my husband and I were too overwhelmed to begin to understand how to cope. Once my baby survived my mastectomy surgery, I underwent chemotherapy, and then after my daughter was born, radiation. I was treated aggressively, but in 2014, a trip to the hospital for suspected kidney stones revealed the cancer's return in my spine. My oncologist is a great doctor and a kind person. He's one of those doctors that connects with you on a human level. I don't know how I could keep doing this without that warmth and caring. I feel lucky that he has me in a great treatment program. I stay positive. I live for my husband and three beautiful children. I enjoy every day with them and strive to keep their lives normal. Rather than be angry, I'm trying to gain strength through using my experiences to help others. When you get pregnant, your friends send you 'What to Expect When You're Expecting.' When you get diagnosed with cancer, no one knows what to do. I'm lucky my family and friends are so supportive, but no one really knows how to help. My friend Andrea has been by my side. Out of our friendship grew the idea to create 'The Cancer Conversation' to help people diagnosed with and living with cancer, like me. I wish it had been there for me from the start of this ordeal. And Andrea wishes she'd been able to give it to me. It's a set of conversation prompt cards with (non-medical) simple questions and answers to help you move forward and cope. It answers a need for patients and those who want to support them. We launched a Kickstarter campaign to raise seed money. More than 200 backers helped us quickly reach our goal of $25,000, demonstrating how strongly others felt the need for our cards, too. The main boxed set includes topics for anyone diagnosed with cancer, no matter what stage, age, or type. Nine separate smaller sets of topics focus in on a specific patient's experience. We also made 'Support' cards to help friends, caregivers, and couples. Our card format lets you take each topic at your own pace, without being overwhelmed. They introduce ideas in small bites and can be shared with those in your support system. My oncologist loves them. He graciously gave us feedback during development and shared them with other professionals at Columbia NY Presbyterian for input as well. I'm proud of The Cancer Conversation. I hope one day my children will know their Mommy wanted to help others. A portion of profits will be donated to cancer research. Thank you to SHARE for the opportunity to tell our story. Please check out thecancerconversation.com.